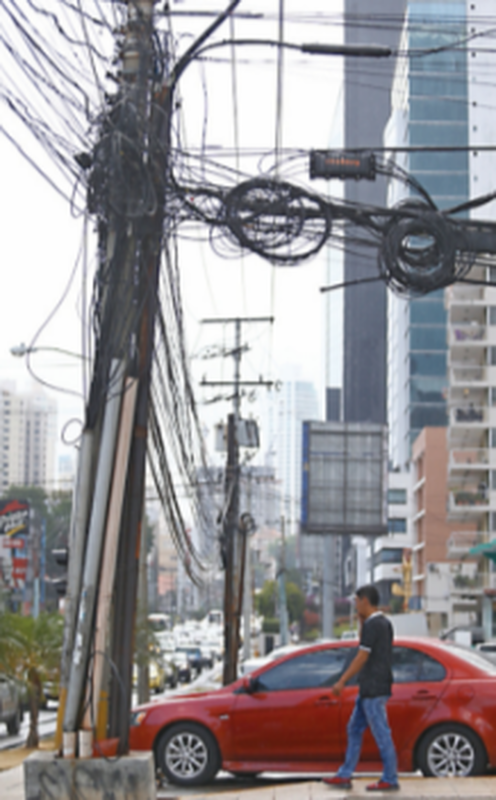 Six years have passed since the approval of the order to remove the overhead cables which disfigure Panama’s banking area but the unfinished work continues to produce a negative visual image in an area lined with shiny new monuments to commerce. Two months ago the construction of underground ducts and chambers in Obarrio was completed to adapt the system through which the electrical wiring will pass. Campo Alegre is pending, for which it has been decided to call a new tender report La Prensa.